Charlie is a marine geologist who moved from a professorship in the Geology Department at UNC-Chapel Hill to become a Senior Scientist at MBARI in 1999. Prior to coming to MBARI his primary focus was gas hydrate research on the Blake Ridge gas hydrate field on the continental rise off of southeastern North America. This work culminated in ODP Leg 164, which was the first dedicated drilling for gas hydrate research. Another related research theme involves investigations of sea floor seepage sites. 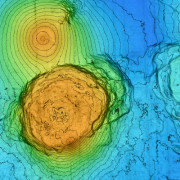 This includes establishing the sources and the fluxes of fluids that pass through continental margins, understanding the deposits associated with chemosynthetic biologic communities, determining the processes that occur at the methane-sulfate boundary, and documenting the unique topography associated with seafloor fluid venting sites. In the last decade he has conducted field programs associated with seafloor venting sites in the Gulf of Mexico, Gulf of California, offshore Norway, Canadian Arctic Shelf and ten sites off the west coast of North America. 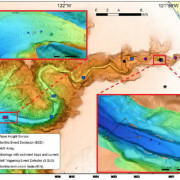 Since coming to MBARI he has also been involved with a series of projects focused on tracking the on-going movement of sediment through Monterey and other submarine canyons along the California coast. 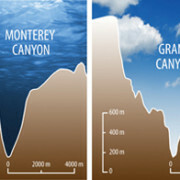 These efforts have been greatly aided by MBARI’s state of the art technologies, which include ROV’s to access and sample within submarine canyons, engineering efforts to develop and deploy monitoring systems within Monterey Canyon, and a mapping AUV that provides 1m bathymetric grids and is capable of operating within these canyons. MBARI has participated in three research cruises in the Canadian Beaufort Sea, using an inspection class ROV) to visualize the seafloor and collect samples. 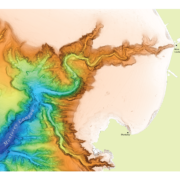 Monterey Canyon is one of the deepest submarine canyons on the west coast of the United States. We are studying the Monterey Canyon using multiple techniques that provide data similar to what is used to understand dynamic processes in terrestrial river channels.